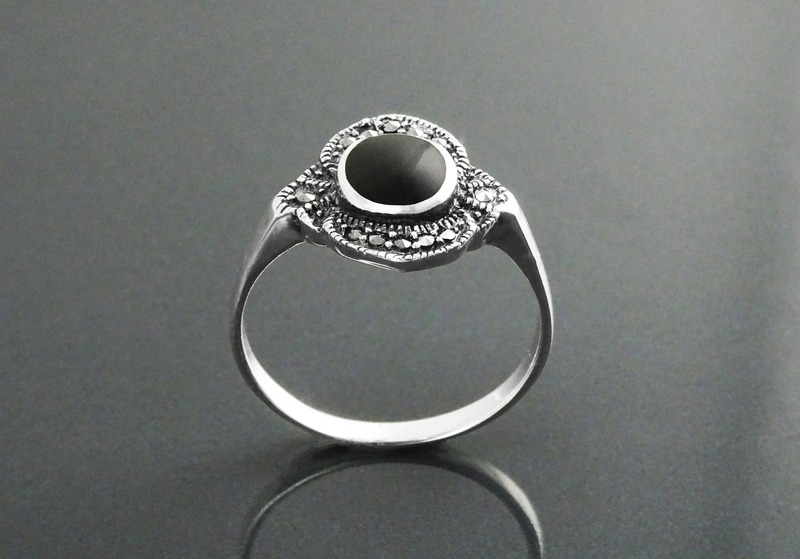 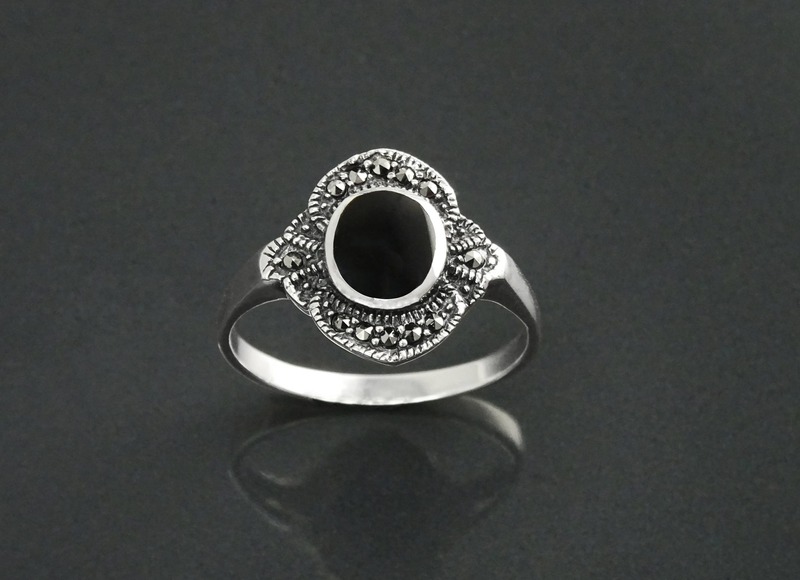 This Beautiful small Art Déco Inspired Marcasite Ring is Sterling Silver made. 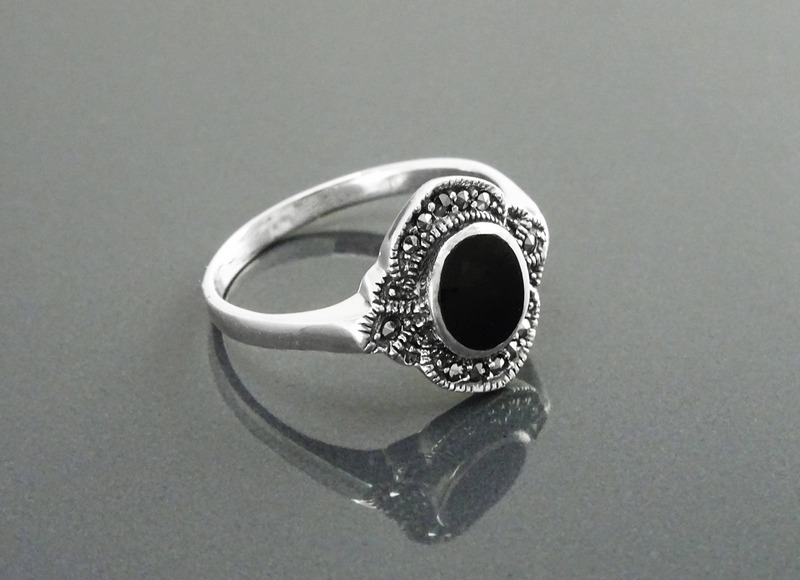 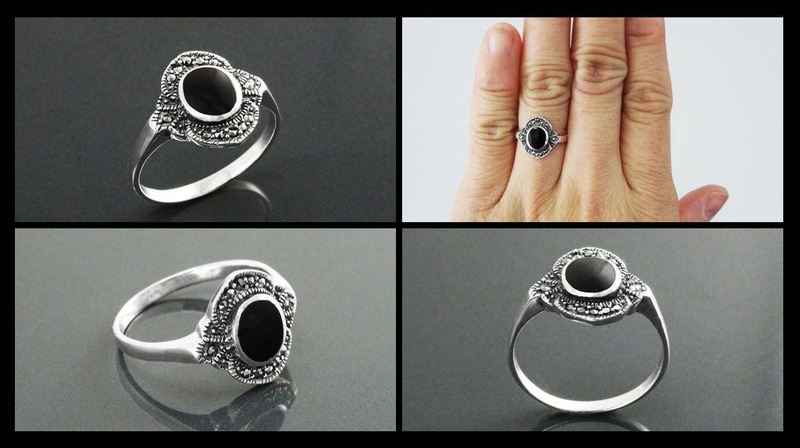 A Reissued Vintage Early-Century Marcasite Ring set with Black Onyx Gemstone. 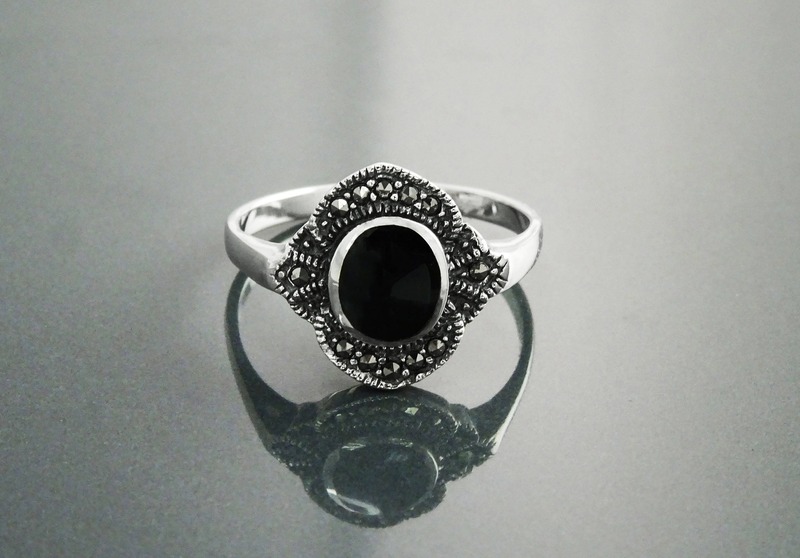 A bit of Retro 1920-30's inspired Jewelry. 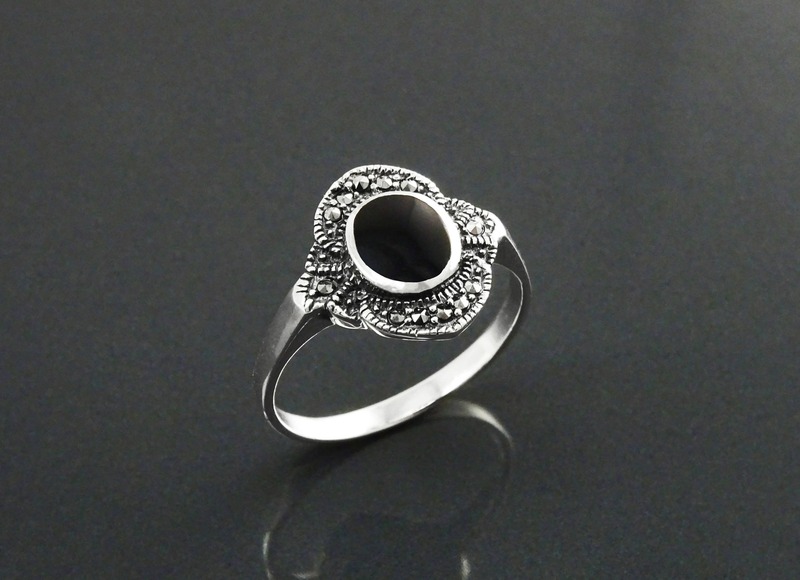 Average silver weight: 1.9 gr.